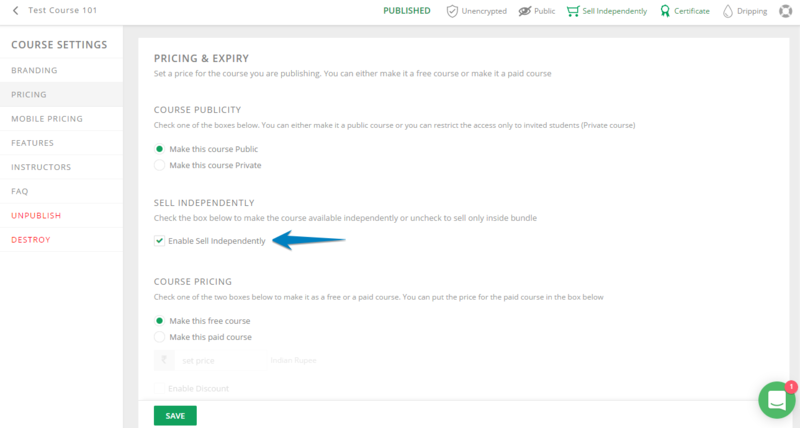 By default every course created you would be able to sell them independent of any other bundle. But if you want to keep them restrained to a bundle then you can unselect this check box and save changes. Once done your course could not be sold independent of a bundle. To do this go to Courses > [Your Course] > Course Builder > Settings > Pricing. Unselect the Sell Independently Checkbox and publish your changes.